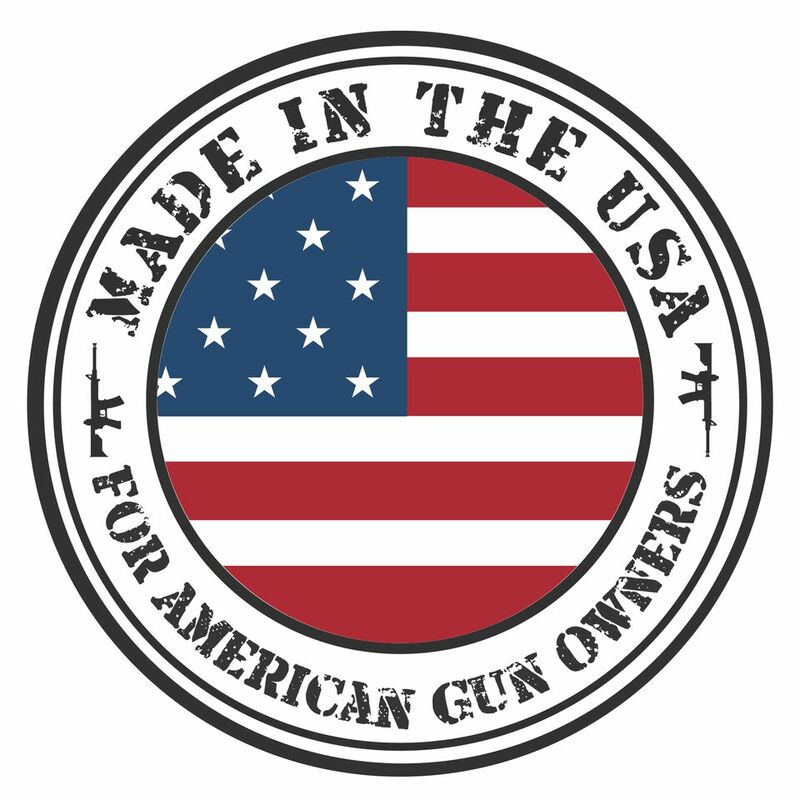 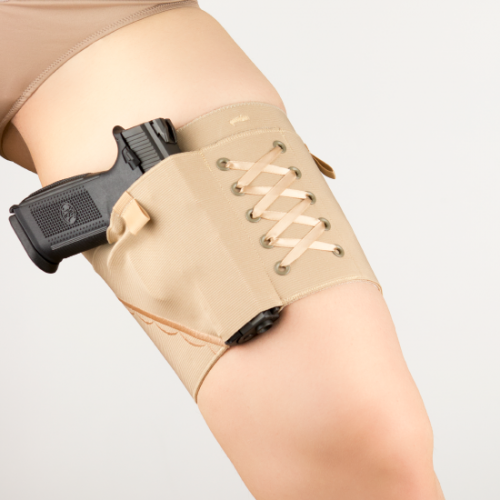 6″ profile Military Grade elastic securely holds your firearm. Sizing: All Garters come with extended Hook & Eye to help with sizing. 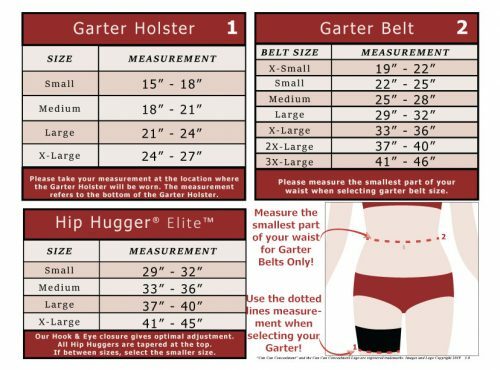 A small is a Small & Medium, etc… Our sizes are based on your measurements in inches. 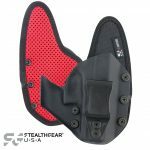 Although we have assigned S, M, L and X-L divisions, they may not be your usual size. 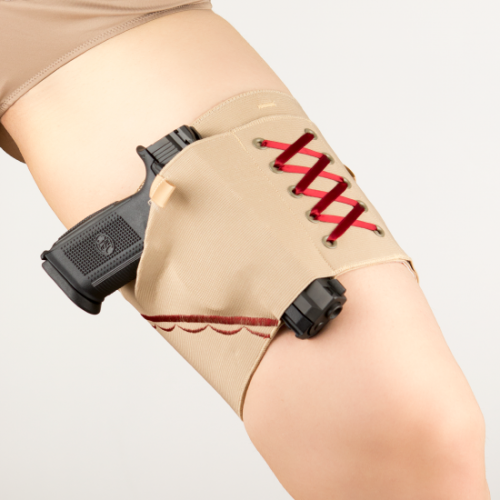 It is very important to take accurate measurements on your thight where you plan on wearing the holster. 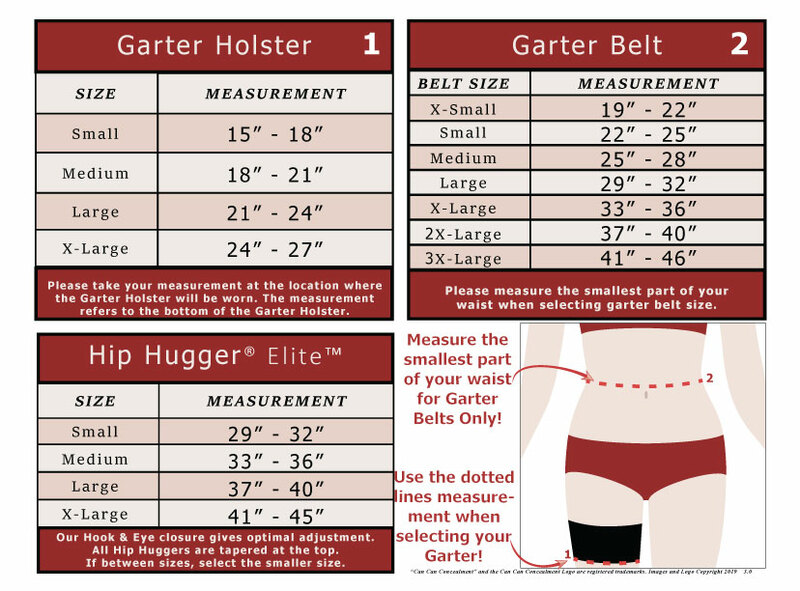 Then measure 6“ below, this is the bottom measurement and is the one to use when selecting size. 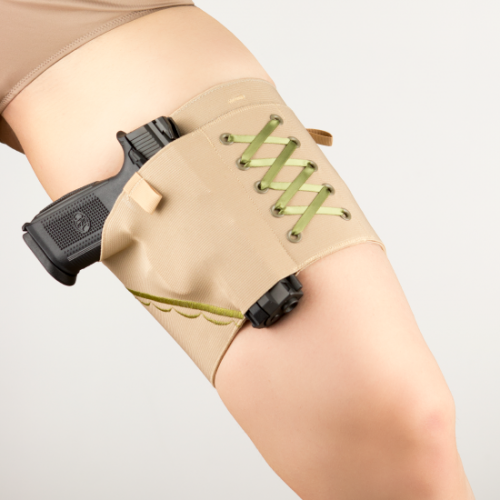 As we have already taken the stretch of the elastic into account, please do not over-tighten the measuring tape. 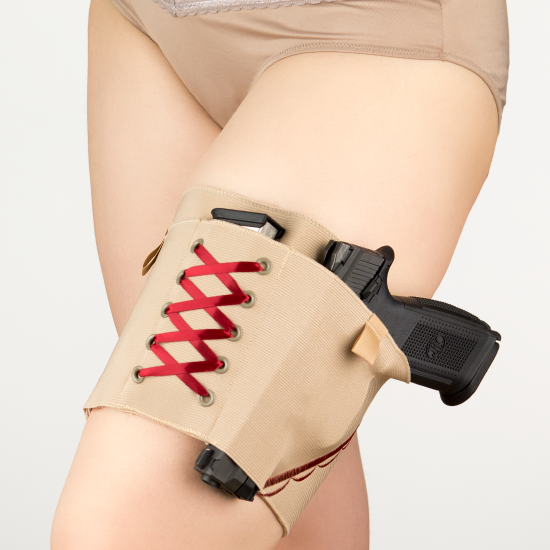 The product is meant to be slightly smaller than you as it is a compression holster. 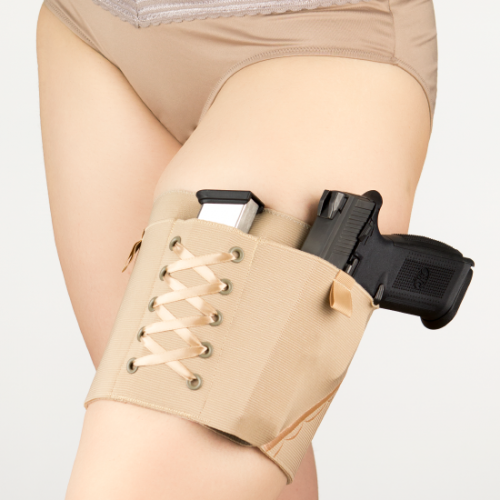 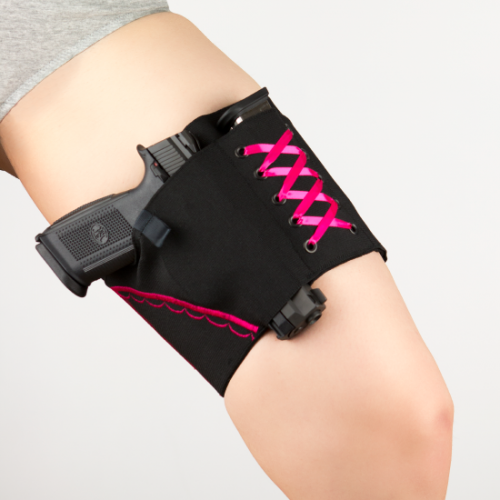 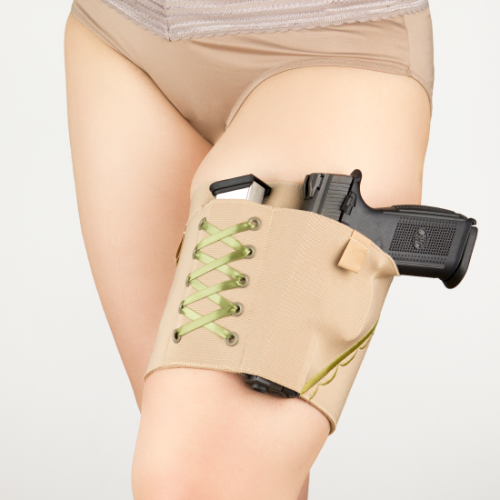 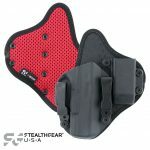 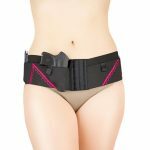 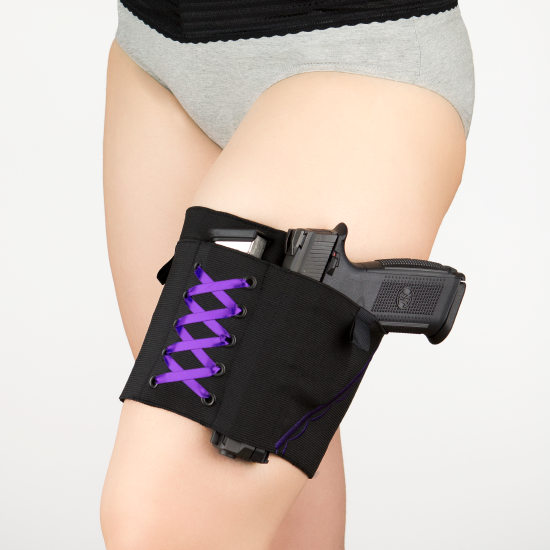 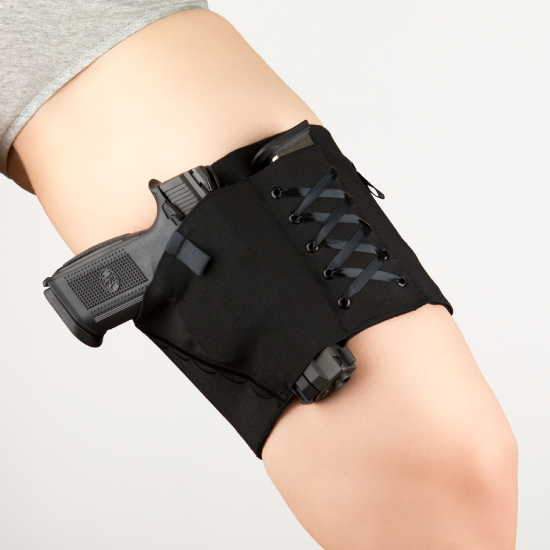 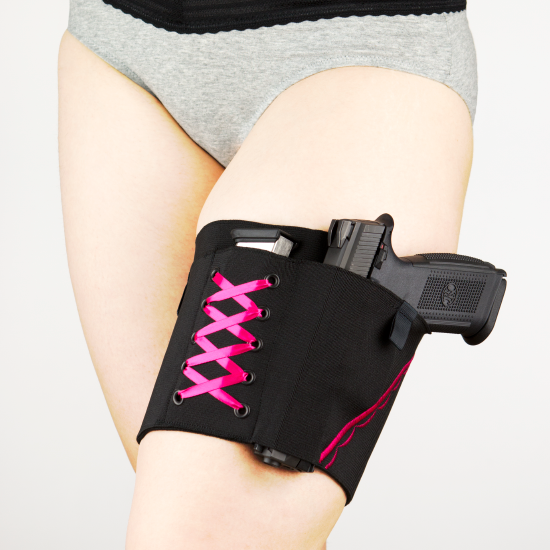 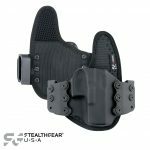 Be the first to review “Garter Shebang Holster From Can Can Concealment” Click here to cancel reply.